The work of Anselm Kiefer, one of the world’s most prominent artists, launches NSU Art Museum’s new exhibition series focusing on post-World War II artists whose work addresses issues of identity and the convergence of history and mythology. Drawn from the Hall and Hall Art Foundation collections, which together make up one of the world’s largest groups of works by Anselm Kiefer, the exhibition will include major books, works on paper, paintings, and sculptures from the late 1960s to the present day, including his massive painting The Fertile Crescent, 2009; his monumental landscape Winterwald, 2010; imposing glass vitrine tableaux of organic and inorganic material such as Jakob’s Traum, 2010, important early watercolors and artist books. The opening of this exhibition coincides with the permanent exhibition of Kiefer’s monumental installations at the Margulies Collection at the Warehouse in Miami, providing South Florida audiences with the opportunity for a unique immersion into the artist’s work. The exhibition is organized by NSU Art Museum Fort Lauderdale in collaboration with the Hall Art Foundation, and is curated by Bonnie Clearwater, NSU Art Museum Director and Chief Curator. Supported by the Hall Art Foundation, Vontobel Swiss Wealth Advisors AG, Dr. David and Linda Frankel, and Sandra Muss. NSU Art Museum presents the first solo, U.S. museum exhibition of London-based, Malawian artist Samson Kambalu featuring 12 of the artist’s recent films, A conceptual artist, ethnomusicologist and author, Kambalu humorously challenges canonical ideas about the history of ideas, art and religion while exploring issues of identity and freedom of expression. Kambalu’s work is informed by his Malawi culture, a fascination with German philosopher Friedrich Nietzsche, and the Protestant tradition of inquiry, criticism and dissent. At NSU Art Museum, Kambalu’s site-specific installation will reference Thomas Edison’s Black Maria, the world’s first film production studio in New Jersey. Like many early films produced at the Black Maria in the 19th century, Kambalu’s films are brief, silent slices of life. Curated by Bonnie Clearwater. The talk will be followed by a book signing with the artist. Supported by Oliver Kamm and the Wege Foundation. The title of artist Francesco Clemente’s Dormiveglia series of paintings comes from the Italian expression that connotes the state between sleep and awakening in which reality intrudes into the realm of dreams. Created in New York in 1998, each of the nine monumental canvases is painted in a washed pastel palette and depicts a statuesque, goddess-like figure that hovers between land and sea, antiquity and modernity, the sublime and the grotesque. Like tarot card figures, each sylphic form has specific attributes that shift fluidly between human, animal and inanimate forms and merge with the elements. As in dreams, these phantoms seem intent on communicating knowledge and human emotion through symbols and their pantomime of cryptic gestures. Also on view are related watercolors and works on paper by Clemente. Curated by Bonnie Clearwater. Supported by Rita Holloway, Barbara and Michael Landry, Lisa and Steven Smith/SMITH Manufacturing and the W Fort Lauderdale. Additional support provided by the Consulate General of Italy in Miami. Belief + Doubt includes some 70 works from NSU Art Museum’s recent 100-work promised gift from the highly regarded contemporary art collection of David Horvitz, chairman of the museum’s board of governors and artist Francie Bishop Good, his wife and fellow board member. With an emphasis on multi-cultural and women artists, the works date from 1978 to 2013, and fill a gap in the museum’s 6,000-work encyclopedic holdings. Among the artists represented are: Cecily Brown, Sophie Calle, Tracey Emin, Teresita Fernandez, Nan Goldin, Ann Hamilton, Barbara Kruger, Ana Mendieta, Wangechi Mutu, Catherine Opie, Cindy Sherman, Amy Sillman, Lorna Simpson, Kiki Smith, Mickalene Thomas, Kara Walker, Carrie Mae Weems and Sue Williams. Curated by Bonnie Clearwater. Major funding provided by James L. Bildner Charitable Trust and Northern Trust. Additional support by Sotheby’s. WILLIAM J. GLACKENS: A MODERNIST IN THE MAKING, featuring works by the American realist painter and draftsman from NSU Art Museum’s permanent collection. Hosted by Bonnie Clearwater, NSU Art Museum Director and Chief Curator celebrating the museum’s exhibitions. Open to VIP cardholders and NSU Art Museum members at the Patron-level and above. RSVP [email protected] or 954-262-0258. Free shuttle transportation for Art Basel VIP cardholders will be available from Miami Beach Convention Center to NSU Art Museum, departing Miami Beach at 9 am and returning to Miami Beach from NSU Art Museum at 11:30 am. 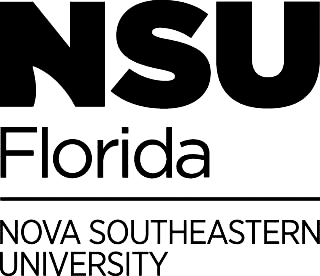 An additional NSU Shark Shuttle will offer free transportation during the brunch between NSU Art Museum and the Fort Lauderdale contemporary art space, Girls Club.